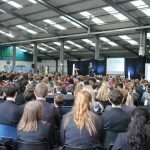 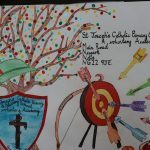 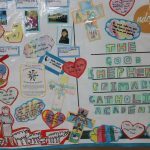 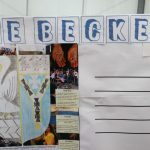 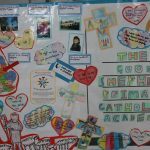 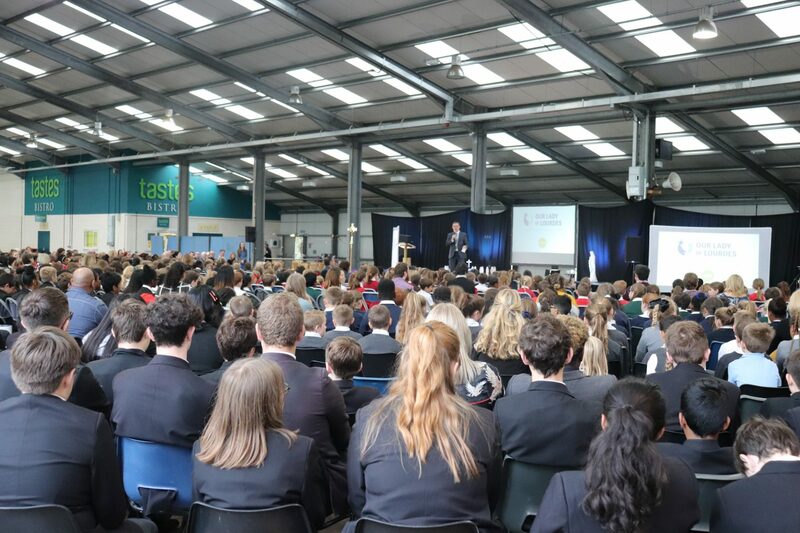 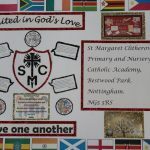 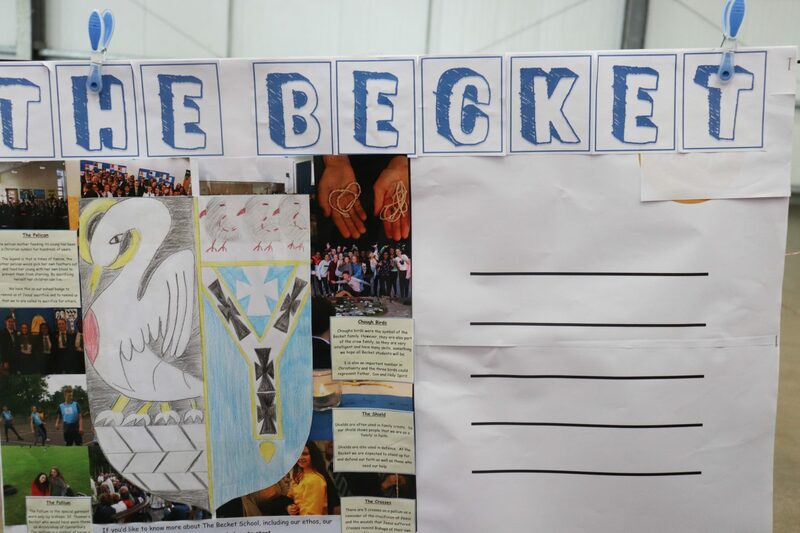 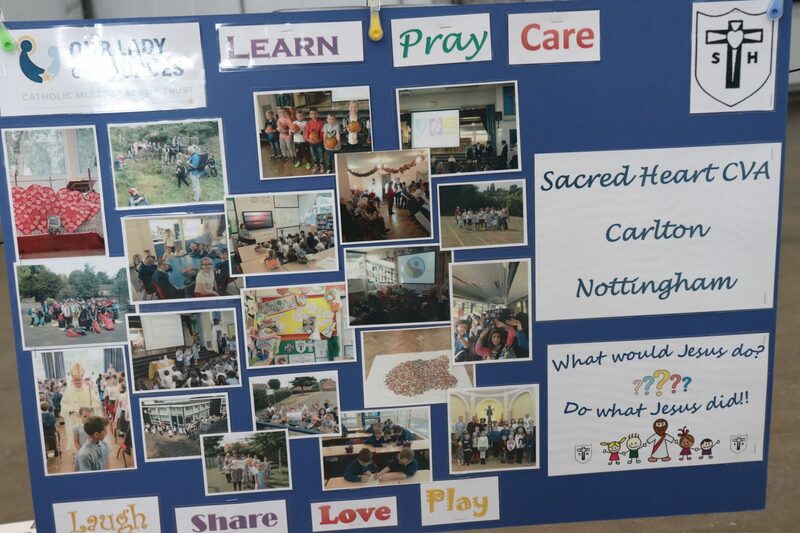 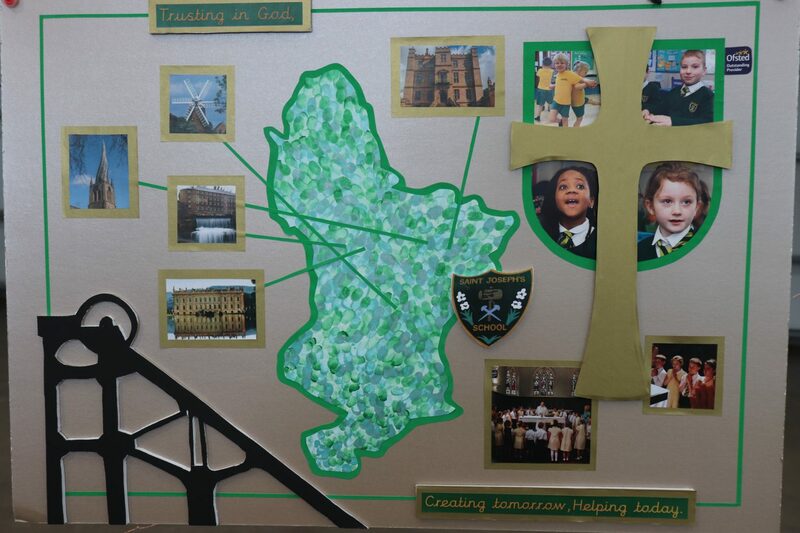 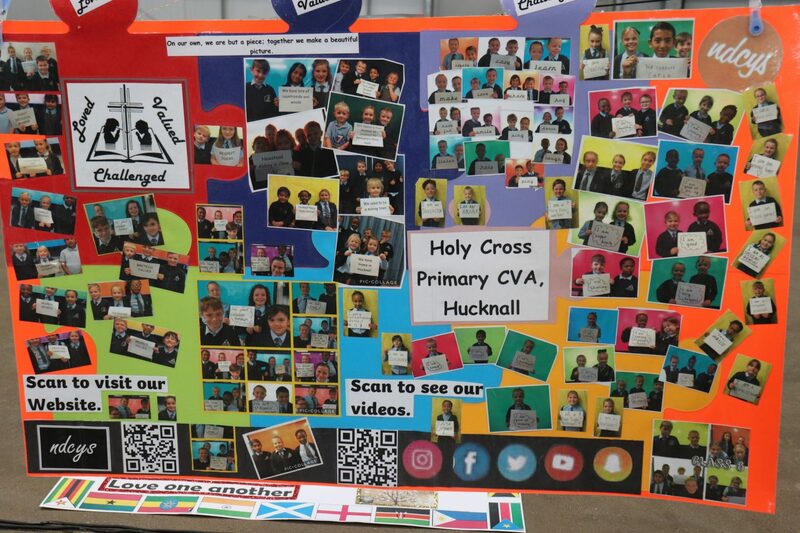 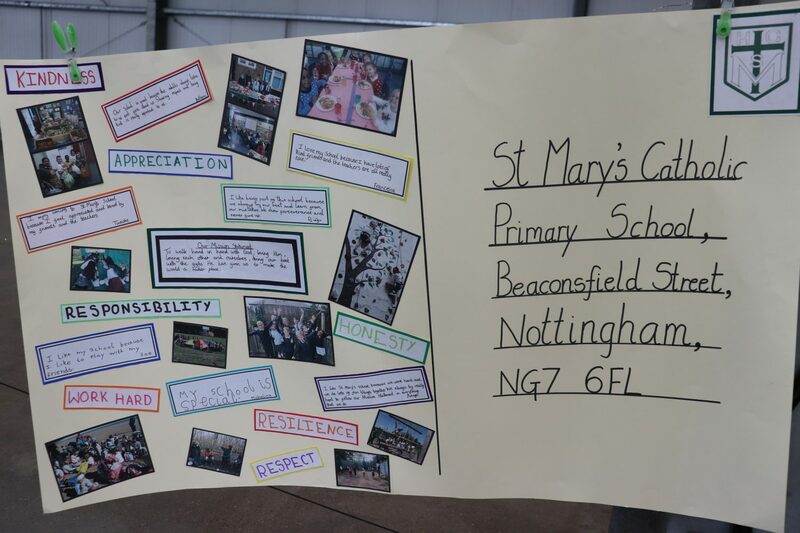 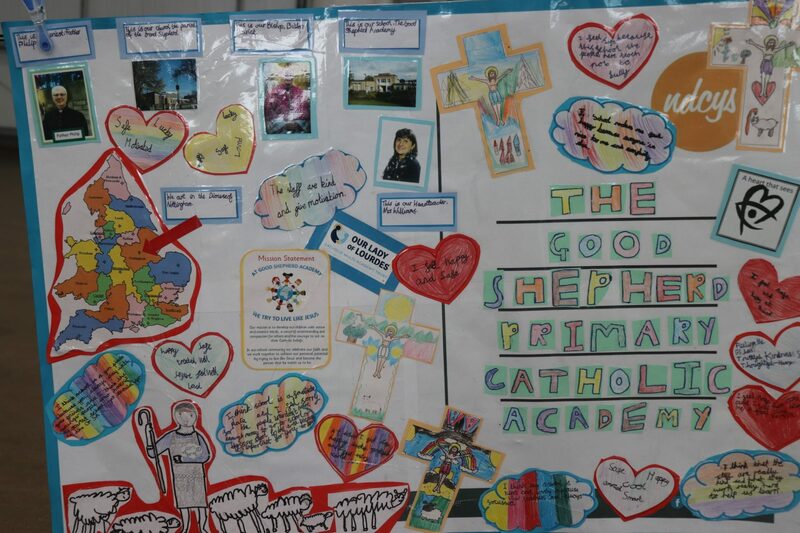 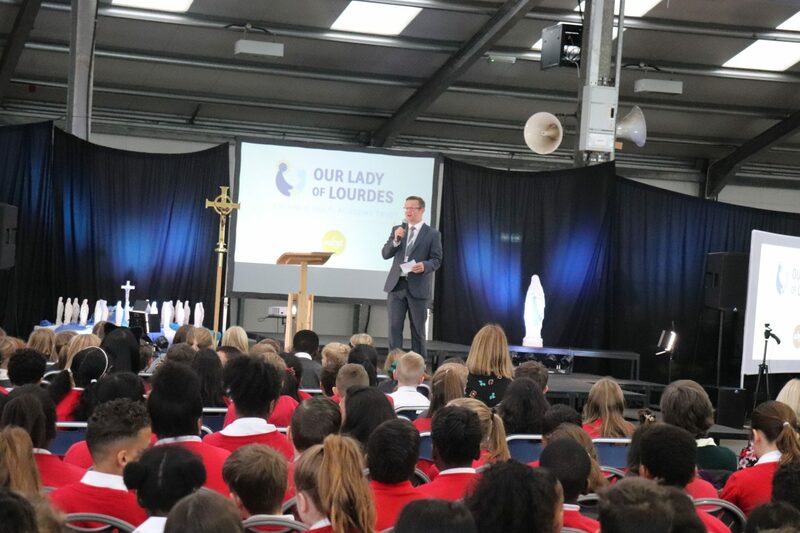 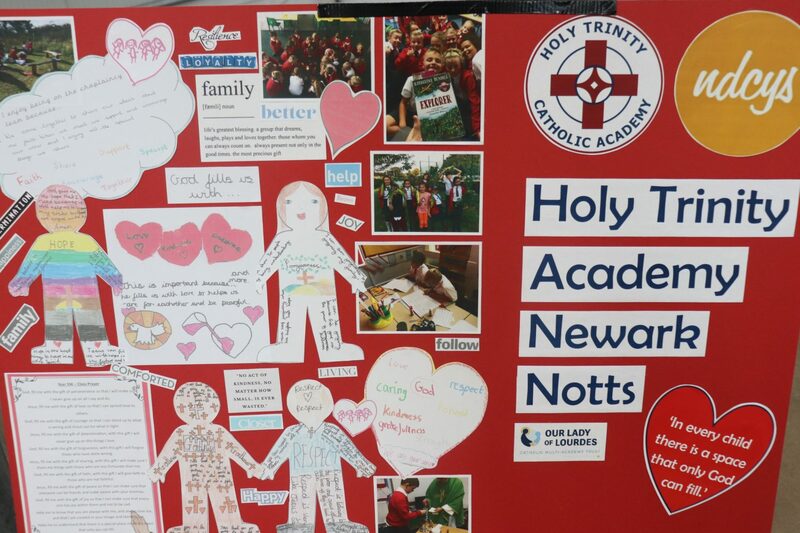 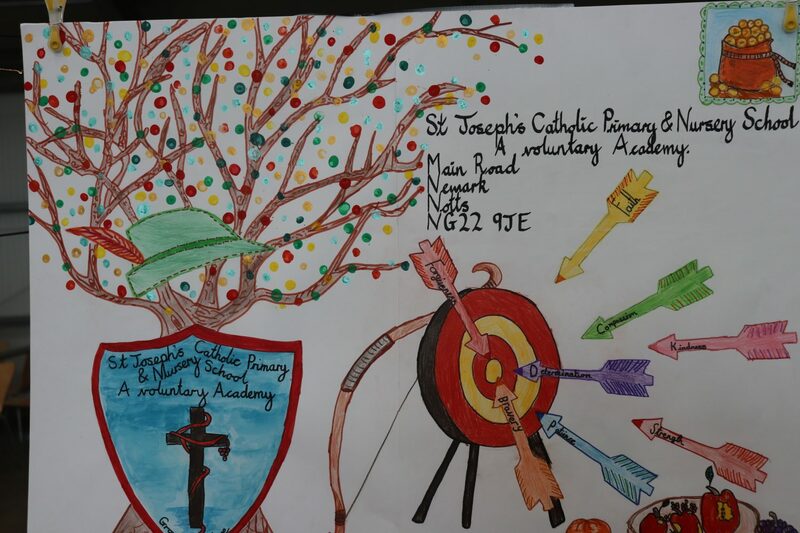 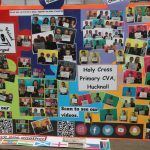 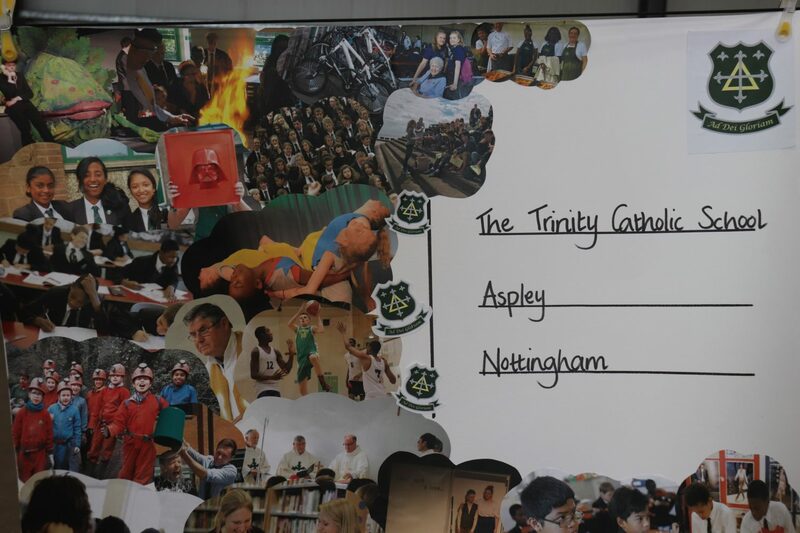 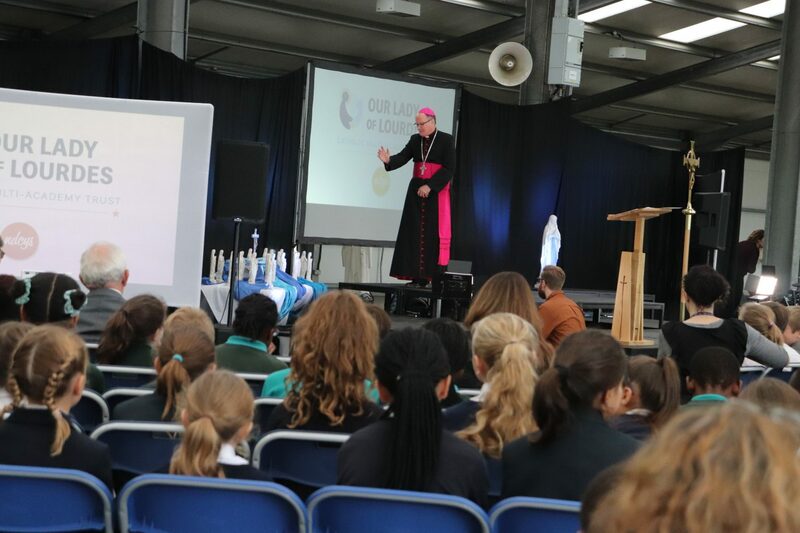 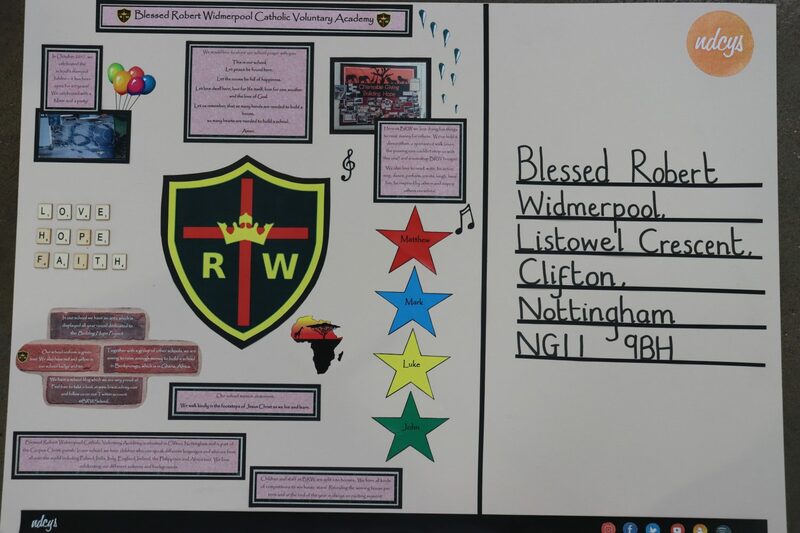 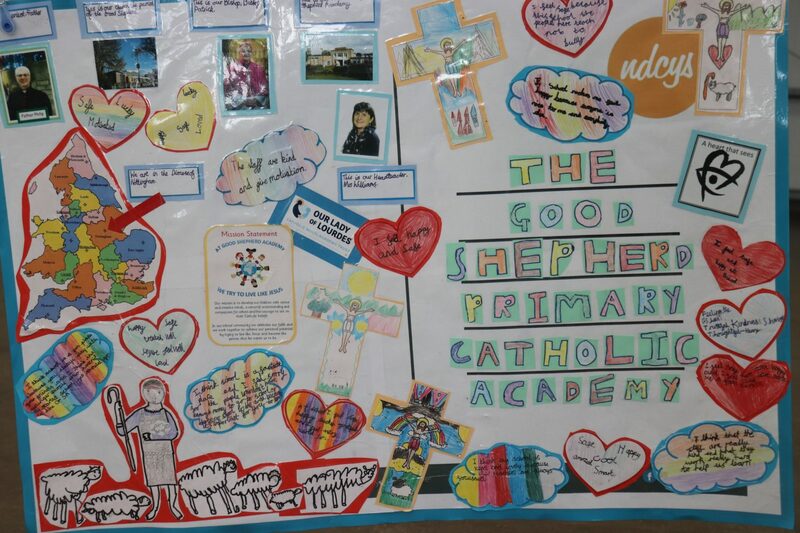 On Tuesday 16th October staff and students from each of the 21 schools of the Our Lady of Lourdes Catholic Multi Academy Trust gathered together at Newark Showground to launch our new Trust! 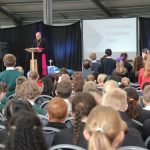 Our CEO James McGeachie started our day by welcoming us all and we began by praying together as a community. 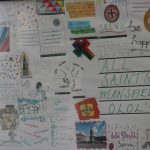 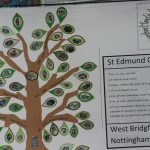 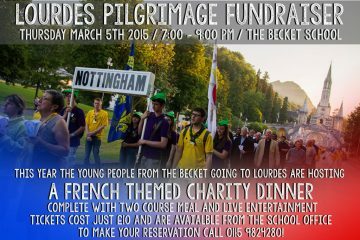 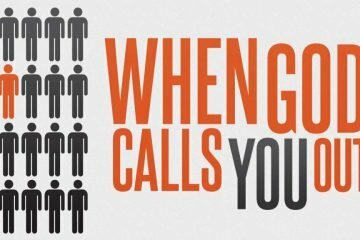 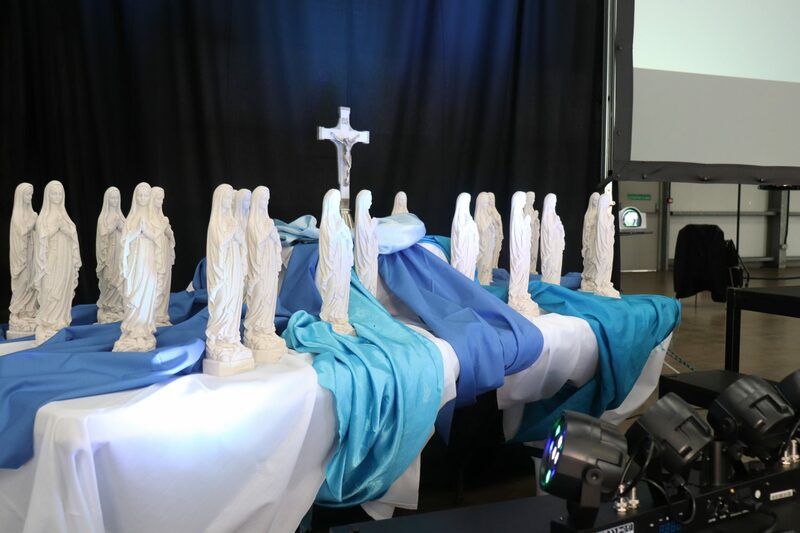 Our Trust Chaplains explained ‘Who is Our Lady of Lourdes?’ with the help of a video prepared by The Briars Team which you can check out below! 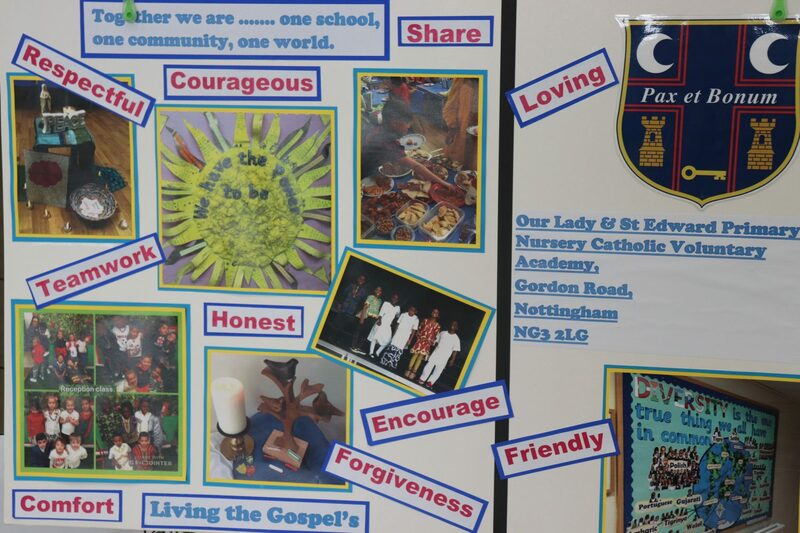 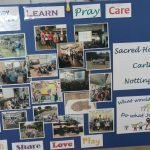 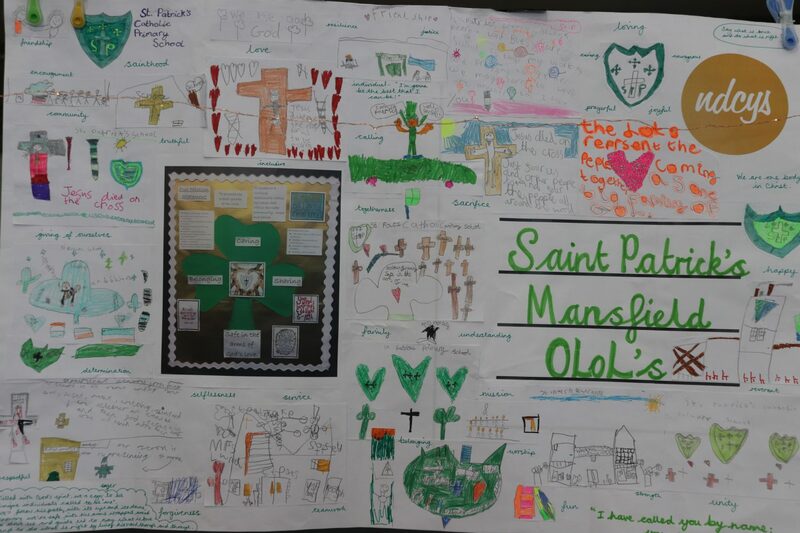 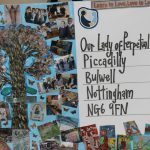 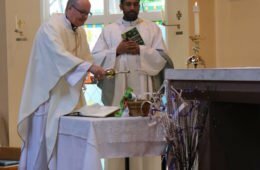 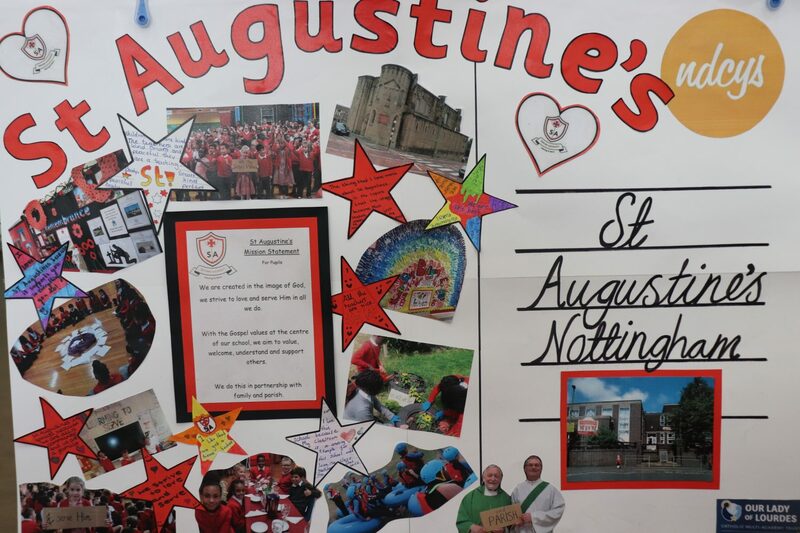 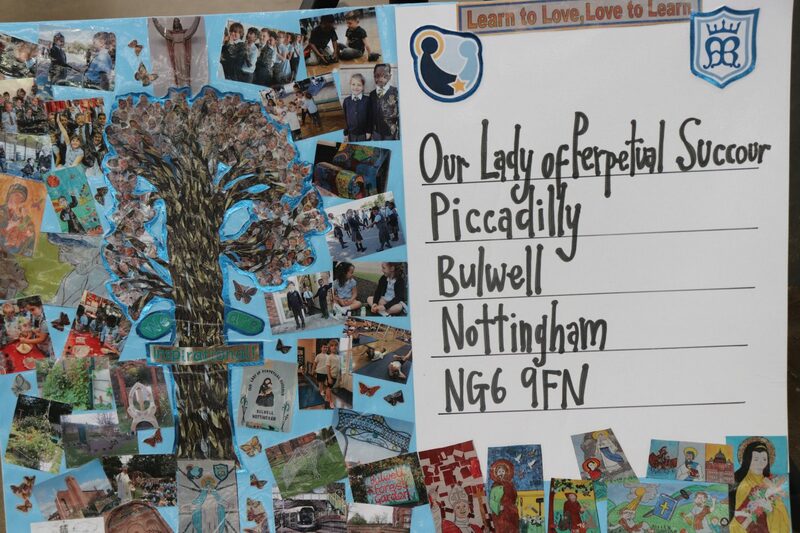 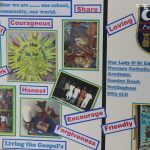 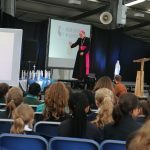 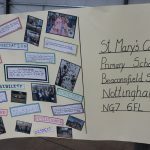 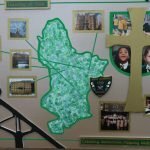 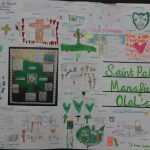 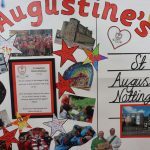 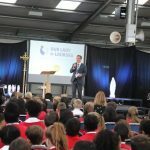 During the morning Bishop Patrick blessed the Our Lady of Lourdes statues (which had been brought back from the Nottingham Diocesan Lourdes Pilgrimage in July) and presented each school with their own statue to take away in exchange for a beautiful postcard that they had created to represent their school – take a look at the photos below! 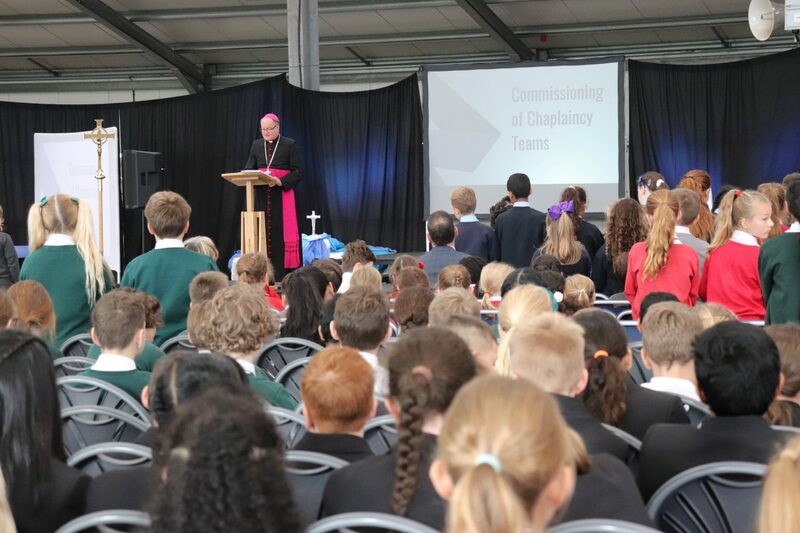 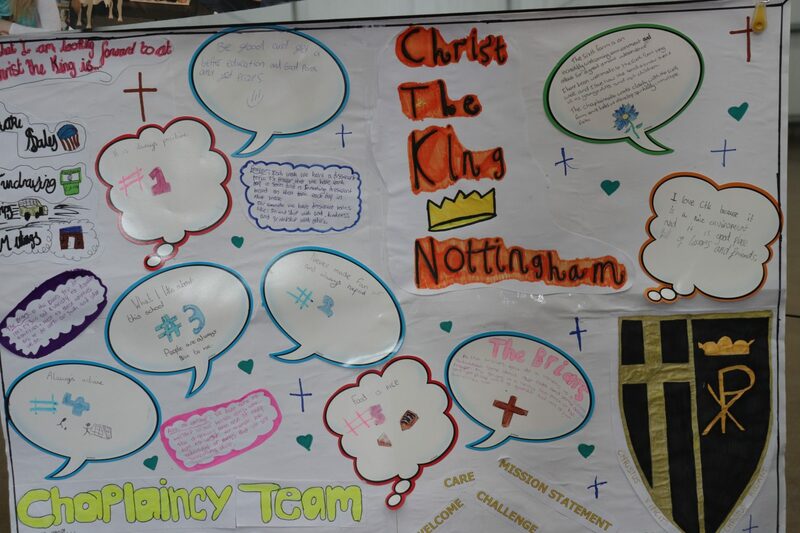 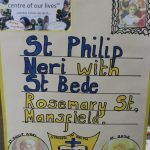 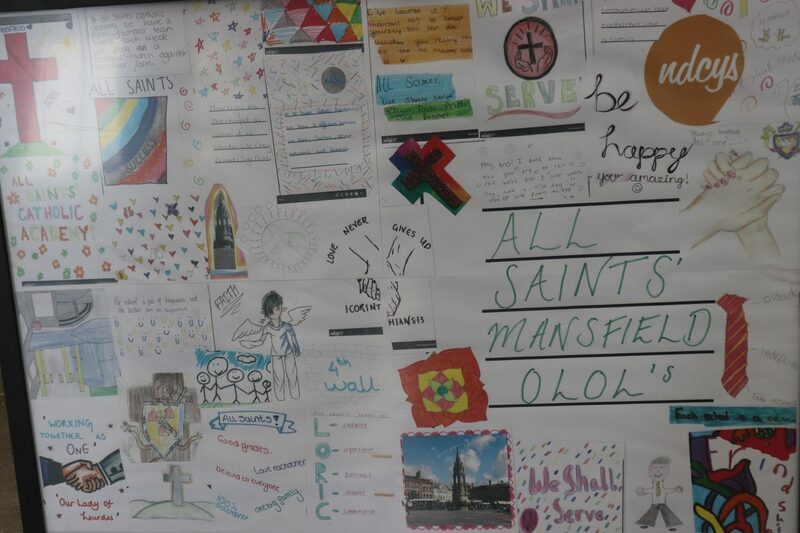 Bishop Patrick then commissioned the Chaplaincy Teams of our schools and before lunch we heard from both our Lead Lay Chaplain, Marsha and from Tom (Director of the Nottingham Diocesan Catholic Youth Service) who shared some of the opportunities and resources that the Our Lady of Lourdes Trust can be involved in. 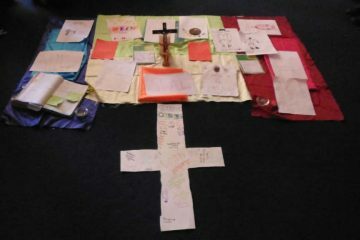 The day finished with Mass celebrated by Bishop Patrick and some of the priests who serve our Trust. 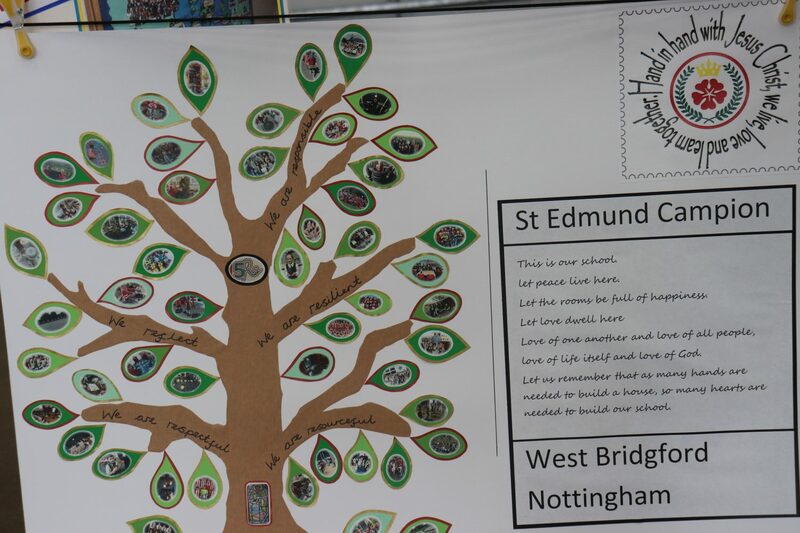 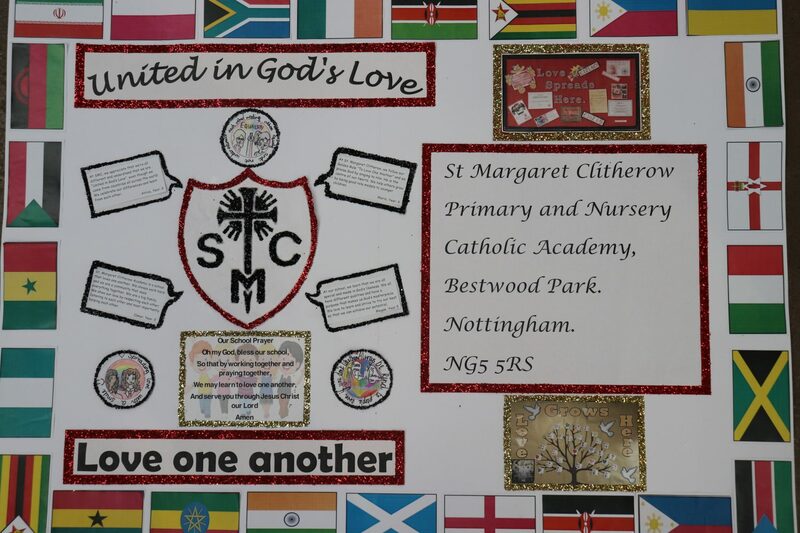 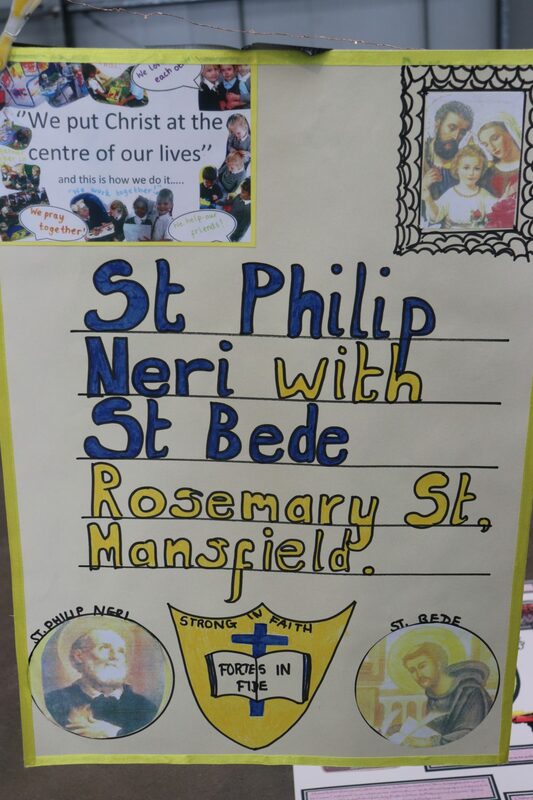 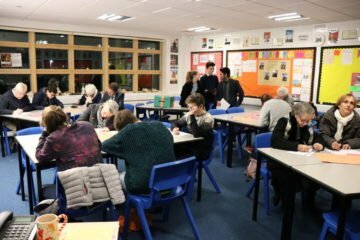 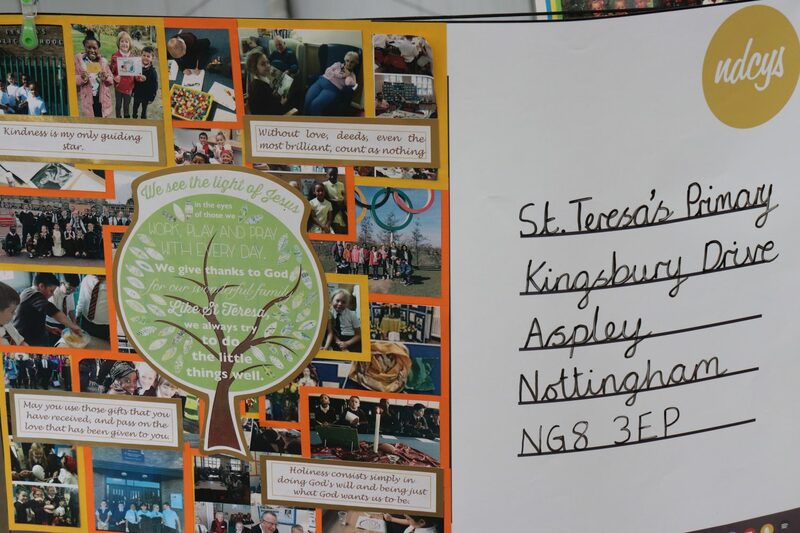 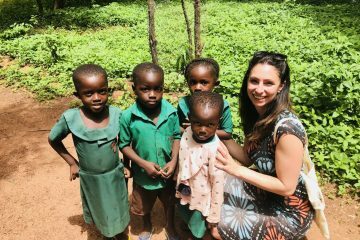 There was joyful singing to accompany the music led by The Briars Team and each school was able to take away a postcard from a different school so that we start to get to know one another! 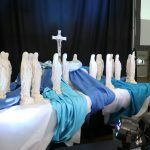 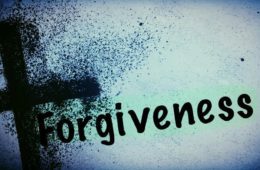 For videos, pictures and some of the prayers and blessings used on the day please check out the resources below! 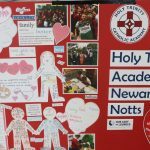 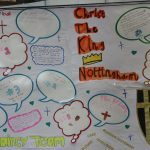 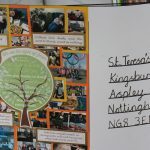 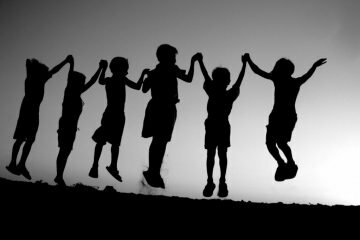 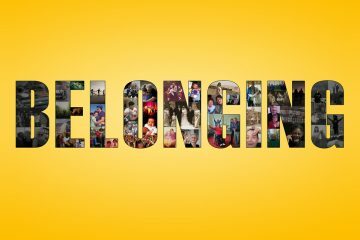 Let us know what you though of the day using the comments box below and let us know what you would like to do as a Trust family next! 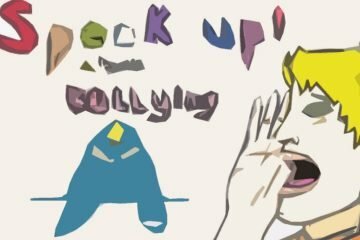 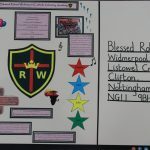 Previous ArticleGetting ready to put our faith into action! 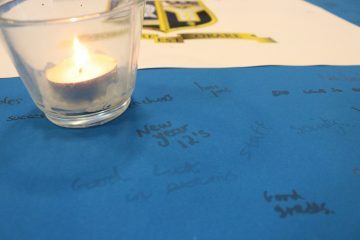 Welcoming Y12 to The Becket!